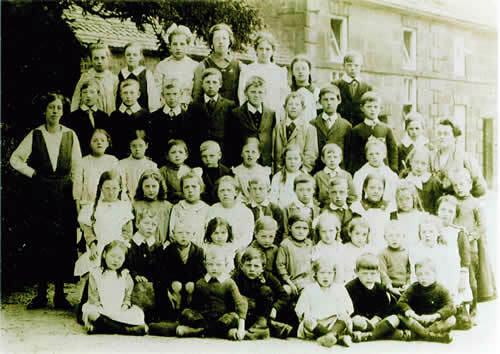 Teaching in the parish of Leekfrith. 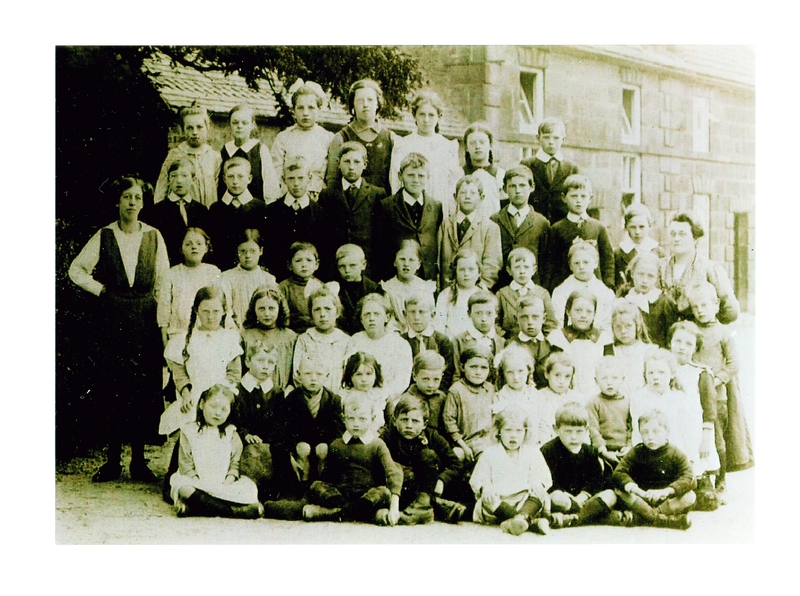 In May 2012 we decided that the village school would be an interesting project as so many local families had been involved with it and would have interesting stories to tell. 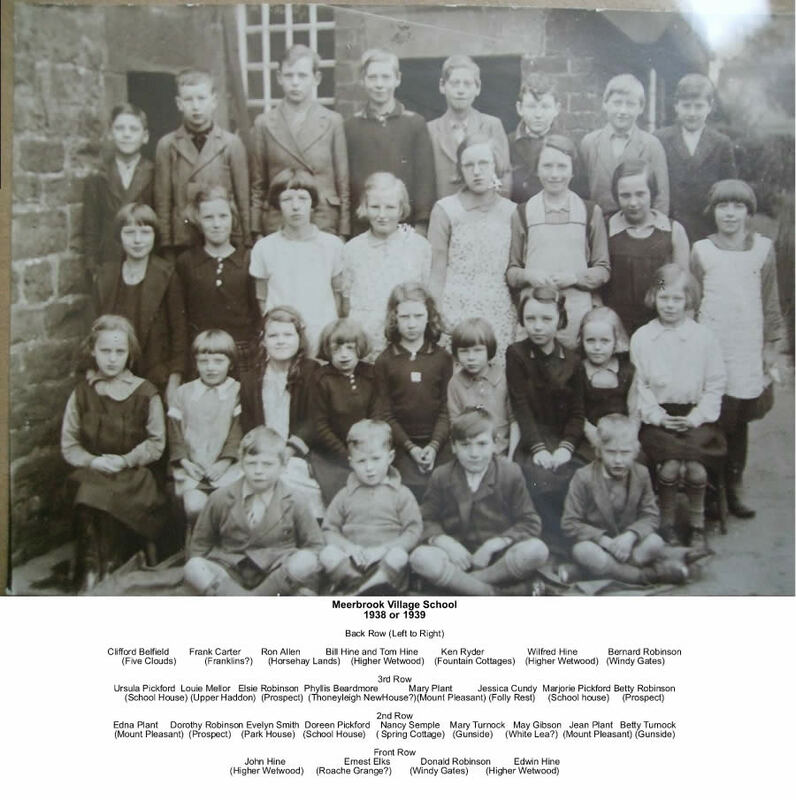 Our research into documents started with the County Record Office at Stafford, parish magazines and the local newspaper but it soon became evident that we needed to look into the history of many types of teaching within the parish rather than simply the history of the building now known as the Old Village School. There is evidence that money was left in the wills of local people for the teaching of the poor but we don't always know where this took place. 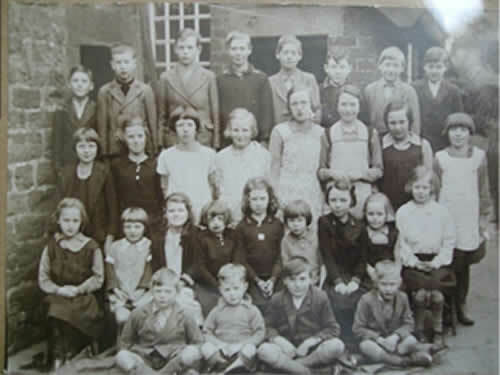 Dame schools were known to have existed and we have evidence of one of them being at Turner's Pool Farm, where Miss Herod was the teacher. Johney Bowers - Lodge Farm? 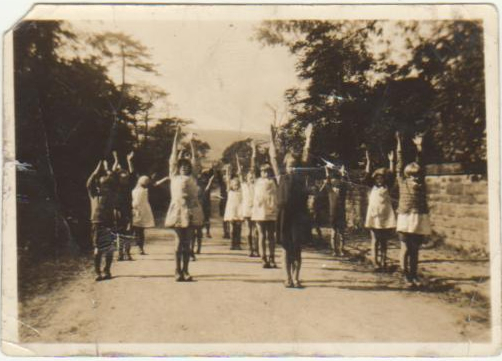 Below is a timeline of the history of teaching in the Leekfrith Area (which may be updated from time to time) and other documents of interest. 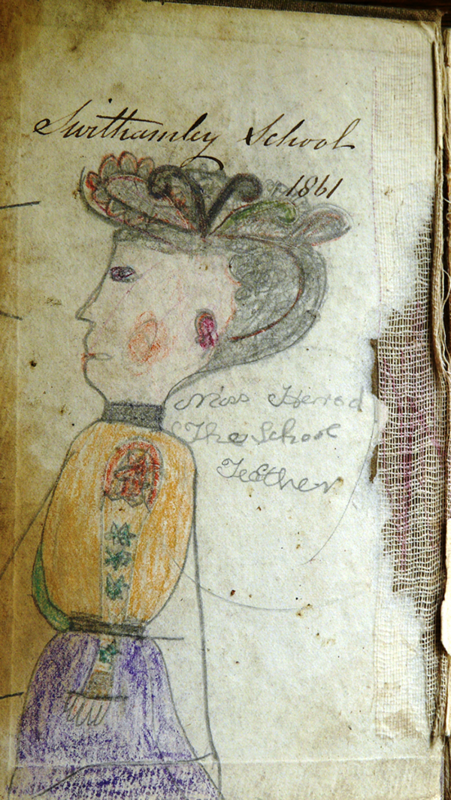 This drawing was found in an exercise book from a school run at Turner's Pool in 1861. 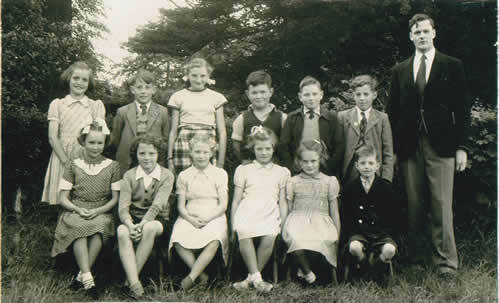 This school photo of the year 1938-9 was supplied by Don Robinson. 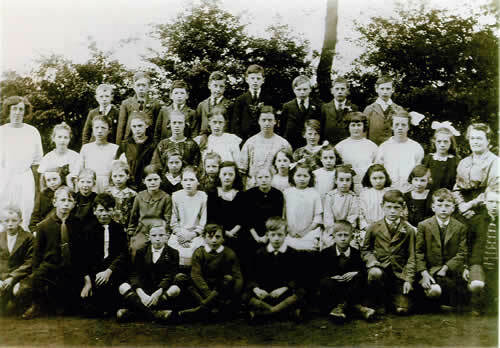 On 14/5/2010 Mr. Norman Hyde recalled his time as head teacher at Meerbrook village school. 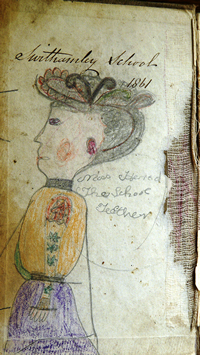 He lived with his wife in the schoolhouse from 1956. 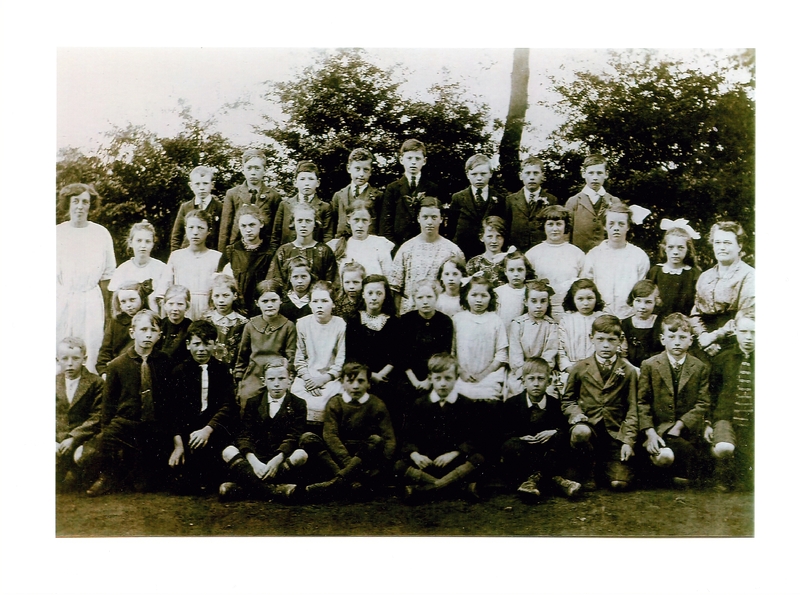 These are the audio reminises of John Clulow who was a pupil at Meerbrook school from 1953. Each recording is about 5 minutes long. Exercising ouside Meerbrook School on the Roadway! !